According to writer/artist Rob Liefeld, who has been sharing anecdotes about his year in the New 52 on his Twitter feed for the last three days, his title Grifter was originally intended to cross over into a multi-title, WildStorm-centric crossover starring Superman, Supergirl and the Red Lanterns facing off against the WildC.A.T.S. villain Helspont. 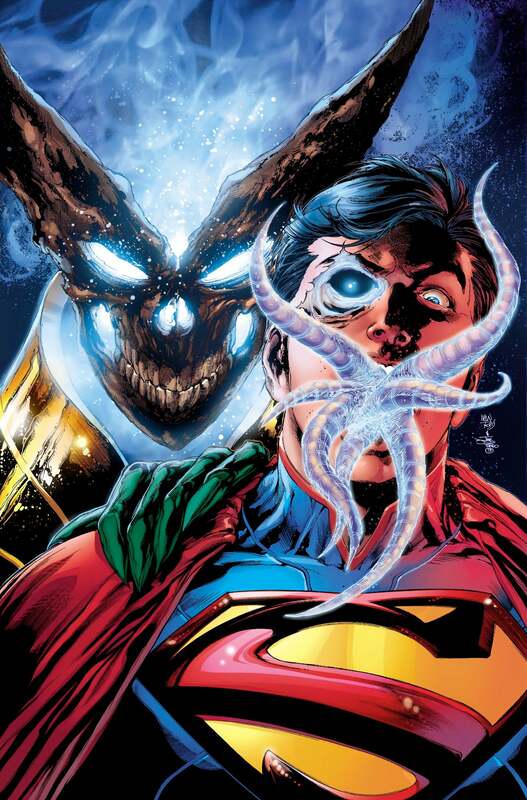 Helspont, who appeared in Superman #7 and #8, after which we asked Superman writer/artist Dan Jurgens what was in store for the Daemonites, the race that Helspont has traditionally ruled and who play a major role in Grifter. "We’re doing several things with long term goals in mind," Jurgens told us. "That will be seen as these issues play out." According to Liefeld, how it played out is that the Superman editors balked at the idea and presumably retooled their fall crossover to be the forthcoming H'El on Earth storyline. Grifter is an important book to DC they want it to succeed. Grifter was supposed to be part of a huge fall cross-over. Grifter was to cross-over into a larger story with Helspont and the Daemonites. 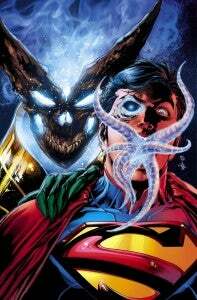 The other titles were Superman, Supergirl, Red Lanterns. I was told that Voodoo was ending and to implement her into the story. I had to connect to the events in the Superman Annual. Grifter was featured in the Superman Annual, as was Hawkman. I wrote Grifter #13 and it placed him in the center of the Daemonite plot. I arrived at Comic-con to be informed that the Superman office changed their mind, whatever that means and there was now no fall cross-over. So issue #13 had to be re-written from page one. The Superman annual was also changed and Grifter was removed as was Hawkman. So, shades of not only the H'El on Earth story but also the Hawkman: Wanted storyline that features Green Arrow and which may or may not still feature some of Liefeld's writing (he claims that he has already turned in writing for that arc in spite of walking out officially after the zero issues). These stories are, as Liefeld himself points out, not particularly game-changing, but a fascinating look inside of how (at least one artist perceives) DC is operating right now.